The Best Seller - On Special Sale Now! 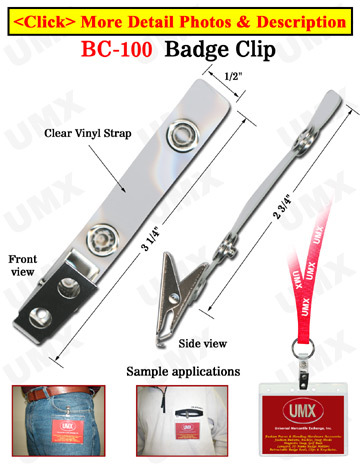 The BC-100 is the most popular low cost and high quality badge strap available for name badge holders, ID cards or nametags. The snap button on the badge straps easily snaps on or off your name badge holders and ID cards. It is great for general purpose uses, businesses, schools, military, trade shows, promotions, concerts, sporting events or meetings.